GRAFENWOEHR, Germany -- U.S. Army Garrison officially released copies of its new print installation guide and phonebook at a launch party here May 31. 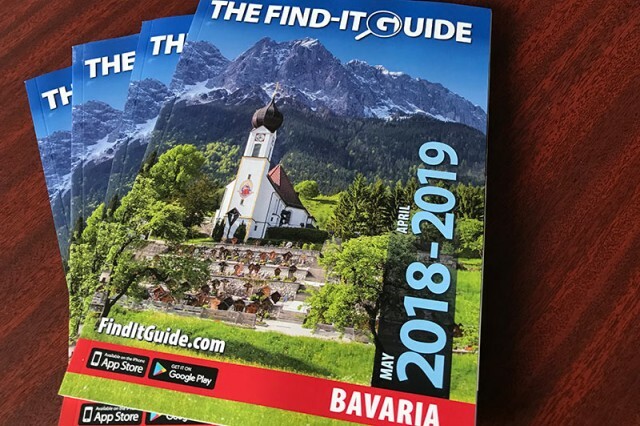 Over 30,000 copies of the Find-It Guide were delivered across all USAG Bavaria, including its camps and installations at Grafenwoehr, Vilseck, Hohenfels and Garmisch. The Find-It Guide is a free garrison-specific handbook serving the community members of USAG Bavaria. It provides maps, garrison phone numbers, office locations and operating hours, GPS directions, international country codes and DSN/civilian phone number conversions. Additionally, the guide boasts a wealth of information on living and driving in Germany, PCS-ing to USAG Bavaria as well as details on Family and MWR programs. One of the distinguishing features of the Find-It Guide -- often referred to simply as the FIG -- is its mobile app. The official Find-It Guide app is available in both the Google Play Store and the Apple iTunes Store, and the app works perfectly fine for phone or tablets. Just click the links or search either store for "find it guide". The guide also packs military and off-post business listings in the local areas. Guides specific to other garrisons are also available at Army garrisons at Ansbach, Stuttgart, Rheinland-Pfalz and Wiesbaden. The addition of USAG Bavaria adds consistency and predictability for those visiting here and those visiting garrisons with the guide. 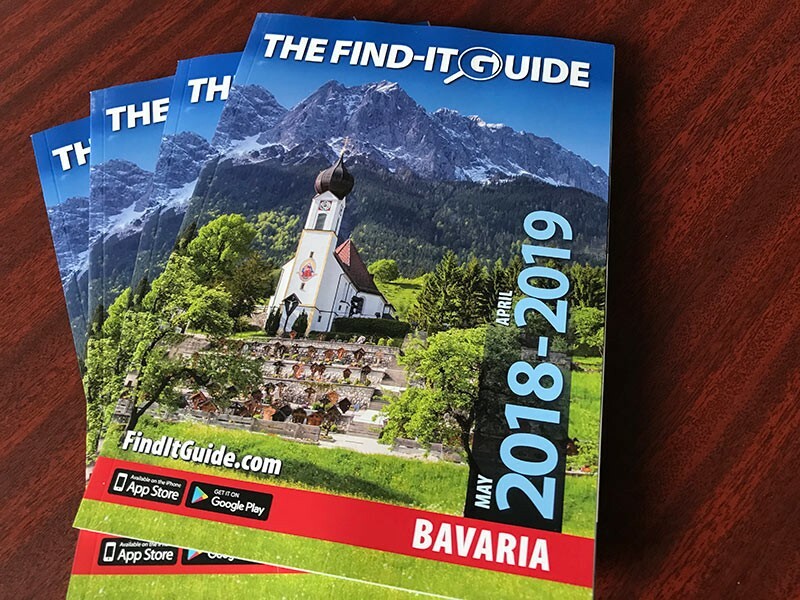 Production of the guide began in the spring of 2017 when officials with the garrison Public Affairs Office teamed up with leadership at AdvantiPro -- the company based out of Kaiserslautern that publishes the Find-It Guide across Germany.